Another headache type that can be debilitating is cluster headaches. 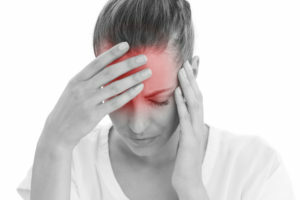 This type of headache affects one side of the head repeatedly and in clusters (episodes that occur within a time span of a few hours or days). The experience is similar to that of drilling on the head, and thankfully they are fairly rare. The most common type of headache is a tension headache, which occurs when the muscles of the scalp, face, and neck are contracted because of stress. It’s true that these medications have been proven to work well at providing relief; however, they also include unwanted and sometimes dangerous side effects. The best way to find out what your migraine triggers are is to keep a journal where you list smells, visual stimulants, stressful situations, foods you eat, and what was happening during your migraine onset. This can help you make connections with certain stimuli that are possibly triggering your migraines. Other things to include in the journal may be stress levels, weather conditions, and activities you were involved in. Once you have found a few of your triggers, you can practice avoiding them as best as possible and hopefully experience a decrease in migraine onset. Some people have a specific warning sign that comes on before the pain of a migraine. This can range from a blind spot in one eye to flashing lights to numbness or weakness on one side of the body. It can last several minutes and usually goes away as the head pain begins. Sometimes it lasts the duration of a migraine. These symptoms often mimic the symptoms of a stroke. There are typically four phases of migraines, although not everyone experiences all four. Prodrome: 60% of people experience this with migraines. It may begin 2 hours to 2 days prior to feeling pain. This phase can involve moodiness, irritability, euphoria or depression, cravings for certain food, tiredness, constipation or diarrhea, stiff neck muscles, and sensitivity to smells or loud noises. Aura: This phase does not happen with every migraine. It is usually a visual, sensory, or motor disturbance that happens before or during a headache. Pain: Migraine pain is normally moderate to severe in intensity and develops gradually, lasting 4 to 72 hours. Physical activity will usually make it worse. It can be one-sided or bilateral. Bilateral pain is more common in those who do not have an aura. In some cases, people may experience vertigo, confusion, or light-headedness. Postdrome: This is the period after a headache. Some people report feeling soreness where a migraine was and have impaired thinking. It is similar to feeling hungover and can come along with head pain, cognitive issues, mood changes, weakness, and gastrointestinal problems. 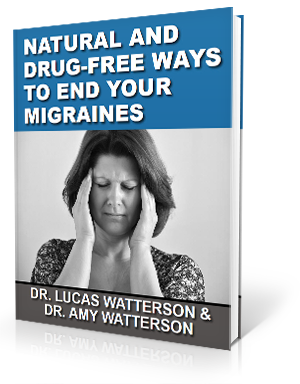 While it is true that migraines can be caused by a misalignment of the neck bones, the promising news is that there is a natural, pain-free and safe way to correct this problem and even get immediate relief from migraines. Upper cervical chiropractors specialize in the knowledge and adjustment methods that are most effective for the top two bones of the spine. This is where the brainstem is located, which means that problems in the alignment of these bones can result in the sending of inaccurate message to and from the brain. It can also disrupt blood flow and the flow of cerebrospinal fluid. This makes a perfect situation for migraines to develop. In our chiropractic office, we use gentle, precise adjustment methods that deliver healing results. Rather than using strong force, we are able to encourage the bones to return to their proper alignment through a comfortable adjustment technique. Returning the upper cervical bones to their correct alignment also restores the proper communication between the brain and body. For many of our patients, we find that correcting the spinal alignment results in a decrease of migraine frequency and severity. Some patients are completely relieved of their migraines. If these results interest you and you would like to know more about how we can help you with your current condition, please contact our office. A migraine is one of the most common headache types. They are disabling and often happen repeatedly. Migraines are moderate to severe in intensity and are known for throbbing and pounding head pain. In two-thirds of the cases, they are only on one side of the head. Migraines may be felt anywhere on the head, face, and neck. They are associated with sensitivity to certain odors, sound, and light. Nausea is very commonly seen, along with vomiting in some cases. This often gets worse when you move, resulting in having to lie still until a migraine passes. They have often been compared to alcohol-related hangovers. When migraine pain is felt in the face, it can be mistaken for sinus pressure. If it is felt in the neck, you may think it is a flare-up of arthritis or a muscle spasm. Sometimes a migraine is accompanied by watery eyes, nasal stuffiness, and a sense of pressure in the face. This leads to many people thinking they have a sinus headache when it is actually a migraine. As many as 25 percent of people with migraines have what is called an aura happen before a migraine. This is a temporary neurological syndrome that slowly progresses and then stops as quickly as it starts. The most common auras are visual disturbances: zig-zag lines, flashing lights, or blind spots. Some people have numbness, confusion, trouble speaking, vertigo, and similar stroke-like symptoms. You may have an aura and no head pain that follows. 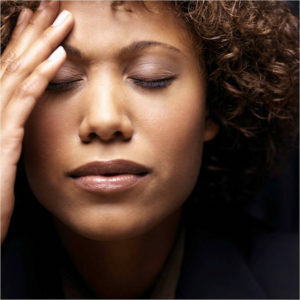 Many people who suffer from migraine headaches feel as if no one really understands them. Here are a few common myths about migraines that will hopefully help your friends and family understand you better. Myth #1: A migraine is just a really bad headache. Because everyone has headaches and you feel pain in your head, it is the first thing people assume. And, yes, you are experiencing head pain, but it is a symptom of a neurological disease. A migraine is very different from a headache. It can include your whole body. It has been compared to stubbing your toe but the pain lasts for a long, long time. It is very important to educate your friends, family, and coworkers (including your boss) about migraines and why they are not just bad headaches. You may even want to get a note from your doctor and keep it in your personnel file so as not to encounter problems at work. Myth #2: A migraine is a psychological disorder. This is simply not true. It is a neurological disease. These are very different. Migraines are much more complex than most people realize. For one thing, they are not just “in your head.” As stated above, they can encompass your entire body. Why are migraines so painful? Well, a lot happens during a migraine attack. For one thing, the blood vessels in your brain temporarily expand, leading to severe pain. This is often in a specific place or on one side of the head. A migraine attack can also cause vomiting and sensitivity to light, sound, and smells. Myth #3: A migraine does not interfere with your social life or work. Migraines do impact your social life and your work schedule. Even important work deadlines or special family occasions can be missed due to the pain of migraines. Sometimes, the only thing you can do when it comes to migraine pain is lie in a dark room until it subsides. Moving or even talking can make the pain so much worse. If this happens when you have a special outing planned, you are going to have missed the outing. Educating friends and family ahead of time can hopefully ease some of the tension. Myth #4: If you have a migraine, you are on your own. There is some truth to this one, as your local family doctor is not a migraine specialist. However, there are specialists available to help you find out what is going on. When you do make an appointment, be as specific as possible to help the person get a clear picture as to what is really going on. One kind of specialist that may be able to give you the relief you are craving is an upper cervical chiropractor. We have been trained to look at the root of what might be causing your migraine. Migraines have been linked to a misalignment in the bones of the upper cervical spine. The C1 and C2 vertebrae are susceptible to misaligning due to their shape and mobility. Anything from a simple trip and fall to a serious car wreck can be to blame for a misalignment. These bones lie in the same area as the brainstem. If they misalign, a number of things can take place. They can put undue pressure on the brainstem, causing it to send improper signals to the brain. Another problem that may occur is these bones can act as a type of blockage hindering the flow of cerebrospinal fluid and blood flow from leaving and entering the brain. This is the perfect scenario for migraines to occur. In order to realign these bones, we use a gentle method that does not require us to pop or crack the spine or neck. Rather, we encourage the bones to move back into place on their own. Once corrected, healing can take place and blood flow can be stabilized again. This leads to many patients seeing an improvement in the frequency and severity of migraines. Some see them go away entirely. 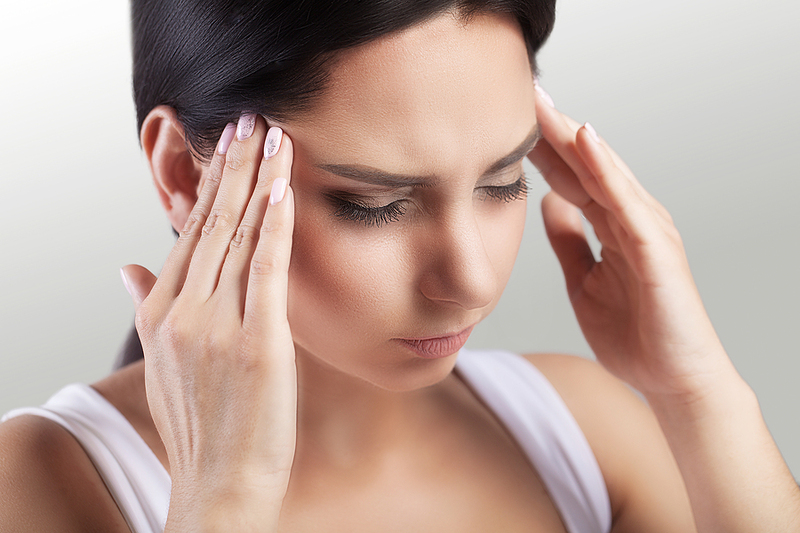 Headaches and migraines are known for bringing tension and pain to the head and neck. 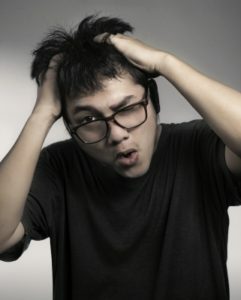 In fact, there is a common type of a headache called a tension headache. When you are experiencing a headache or a migraine, it usually has to do with tightness in the muscles of the neck and the improper flow of blood to the brain. Migraines can be very difficult to care for, leaving doctors and patients both frustrated and searching for answers. 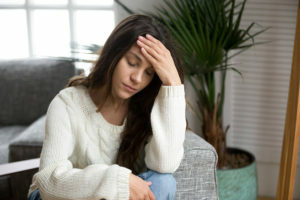 Each migraine is as unique as the person coping with it. Those in the medical field often cannot agree on how best to care for this painful condition. This leaves patients hoping for alternative ways to help their pain. When looking at migraines, one area that seems to be overlooked, according to a doctor from Tufts University, is how the muscular structure of the neck influences migraines. If your muscles become tensed up, it may lead to dilation of the blood vessels, a reason for migraines to occur. This doctor recommends using Botox in order to shut down the muscles of the neck. This has been seen to give some relief, but it is temporary at best. A much better approach is to address the underlying cause of the muscle tension. But what is it? Most people are trending toward more natural care for their migraines. Here at Mountain State Wellness in Morgantown, West Virginia, we understand the way that muscle tension affects the blood vessels in the brain. Our focus is on making sure the top bone of the neck is in proper alignment. A misalignment here affects the muscles of the entire neck, even causing one side of the neck to be tighter than the other. Using a gentle method, we help realign the atlas bone, helping our patients with migraines get some well-needed relief. Migraines remain a bit of a mystery among medical professionals. As one doctor put it: “They aren’t supposed to happen.” However, research is helping to reveal what is to blame for causing migraines. 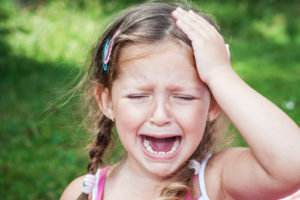 A connection has been seen between migraines and improper communication between the brain and body. The brainstem is the communication superhighway of the body. Therefore, it would make sense that it may not be functioning at its best if migraines occur. A misalignment in the bones of the upper neck – the upper cervical spine – can stress the brainstem and hinder signals coming from it, leading to an improper flow of cerebrospinal fluid and blood. Studies observed 2 people who suffered from migraines due to previous whiplash injuries. They went through some testing involving an upright MRI machine, and it was revealed they both had a misaligned atlas bone (the top bone of the neck). It was also discovered they had a decreased flow of cerebrospinal fluid flow due to the pressure the misalignment was exerting on the brainstem. Each patient got an adjustment from an upper cervical chiropractor to correct the atlas misalignment. Upon the next scan, it was reported that the cerebrospinal fluid and blood flow were back in normal ranges. This was after just one adjustment. The patients said their migraines were now gone. 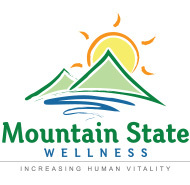 Mountain State Wellness in Morgantown, West Virginia, offers a gentle, effective method to help realign the atlas. We do not pop or force the spine, but the method used allows the bones to move naturally back into place, thereby restoring cerebrospinal fluid and blood flow to the brain. This is often all that is needed to see fewer migraines. Some people see them go away and not return. Migralepsy is a neurological issue, and the side effects that happen afterward are very similar to an aura that can occur before a migraine. Therefore, it is nearly impossible to determine whether one is suffering from a seizure or a migraine. A migraine is also neurological in nature and has head pain as one of its major symptoms. A person may actually be experiencing what is called an occipital seizure. This would be in line with another symptom of a migraine—visual disturbances. An occipital seizure originates in the occipital lobe of the brain causing issues with the way a person sees. Is There Hope for Those Dealing with Migralepsy? If one experiences occipital seizures, migraines, migralepsy, or epilepsy, the good news is that there is help available. Finding a professional who understands how the body functions and how to help a person having these problems is of vital importance. At Mountain State Wellness, we understand the link between the proper alignment of the upper cervical spine and the elimination of many neurological symptoms. It only takes a misalignment of ¼ of a millimeter to put enough pressure on the brainstem so that it does not send proper signals to the brain and body. Using a gentle method, we are able to move the bones back into normal position and restore the communication issues in the body. This often helps conditions like migraines and epilepsy. It may even help them to go away completely. To schedule a complimentary consultation with Dr. Lucas Watterson or Dr. Amy Watterson call our Morgantown office at 304-292-7740 You can also click the button below. By admin / Migraines / Comments Off on Is It a Headache or a Migraine? Migraines are chronic and occur more often that other headache types. Migraines are linked to anxiety, depression, bipolar disorder, and other psychological conditions. Migraines can last a few hours or up to 72 hours. Other types of headaches last no longer than a few hours. Migraines are a neurological disorder, while other headaches happen due to outside factors. Migraines are so severe that most people cannot continue with their daily routine. With other headaches, the majority of people are able to function normally. Before, during, or after a migraine such symptoms as nausea, vomiting, vertigo, and sensitivity to light and sound may occur. No matter what kind of a headache a person is experiencing, patients all have one thing in common—wanting relief, and wanting it fast. Often medication is taken to alleviate symptoms. While this may work on a temporary basis, it is important to understand that unless the underlying cause of a headache is addressed and corrected, it will continue to return. A link has been seen between a misalignment in the upper neck and various kinds of headaches. This is due to the fact that the brainstem lies in this general area. Therefore, a misalignment of the top two bones of the neck can put undue pressure on the brainstem causing it no longer to work properly. The brainstem has the vital job of relaying messages to and from the brain and body. If these messages are hindered, it can affect blood flow, nerve function, and how the central nervous system is working. This leads to headaches and other serious health conditions. Once corrected through a gentle, precise method, people often see their headaches lessen in degree or even go away entirely.